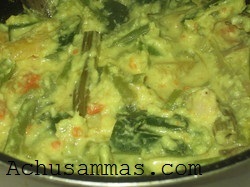 · Coarsely grind coconut, green chilli, shallot, 1-2 curry leaves, cumin seeds. Keep it aside. · Put the heat on lower flame, add curd/yogurt to cooked vegetables along with the coconut paste, 6-8 nos. curry leaves and mix well. · Carefully, do not mash vegetables and remove from the flame after 4-5 minutes. · Finally add oil to the top of avial. Good one.. even we love this.. Reema, Gayatri's WTML is happening at my blog.. Pls ilk it there & to her page, whose link is also given in my space..u can just click the link below! 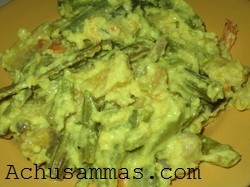 Perfect blend of vegetables with coconut..love to have it just like that..yummilicious !! 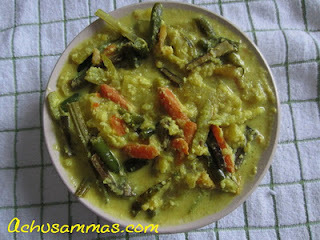 Brilliant curry with delectable veggies !! I do the same way except for the onion, I think that's Kerala style, will try this way next time.. Delicious with all the vegetables. Delicious! Your curry recipes always make me hungry!